Bring water and oats to boil, and boil for 3 minutes. After 3 minutes stir well until creamy, remove from heat. Add coconut milk until desired consistency is reached. Add toppings (whatever you like). I added rice malt syrup, banana, cinnamon, blueberries and Goodies and Grains Breakfast Sprinkle. Enjoy! – I use boiling water purely because I have a cup of green tea every morning so the kettle is already on and it’s faster. 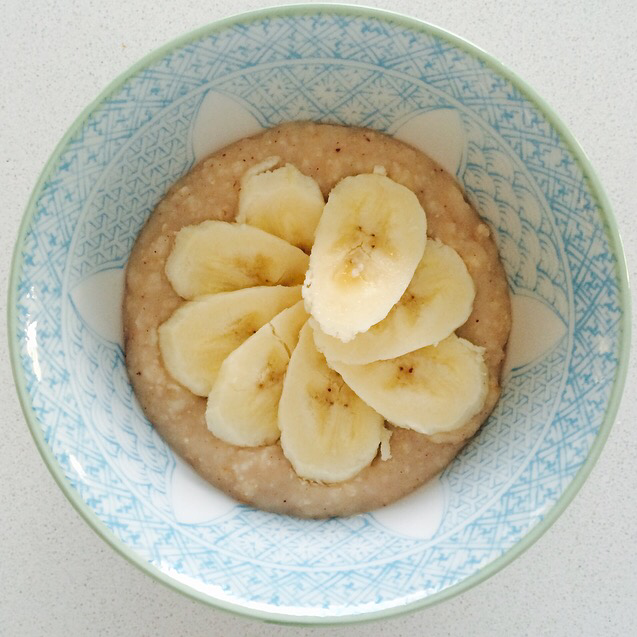 – If you would like to make this recipe gluten free then use gluten free oats. 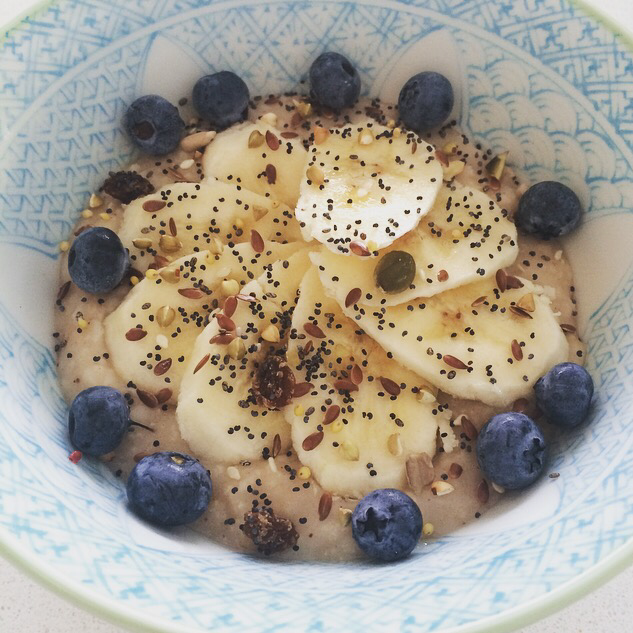 If following the FODMAP diet you can use normal oats. – Rice Malt Syrup is a great low fructose sweetener with is FODMAP friendly. Otherwise, honey would be okay to use. – Add enough coconut milk for desired consistency. You could use other substitutes like Almond Milk, Lactose Free, Soy Milk or Cows Milk.